Shop JBL STX815M 15 Inch Passive PA Speaker from AMS with 0% Interest Payment Plans and Free Shipping. 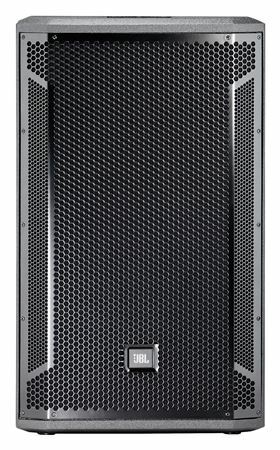 The JBL STX815M PA Speaker is a single 15 inch lightweight two-way passive speaker for use as a high-power handling, FOH loudspeaker or as an extended range floor monitor. With high quality components and 2,400 watts peak power, the STX815M speaker from JBL offers an extremely high level of performance either ground, pole or stand mounted. A 70 degree by 70 degree coverage angle gives focused directivity control. 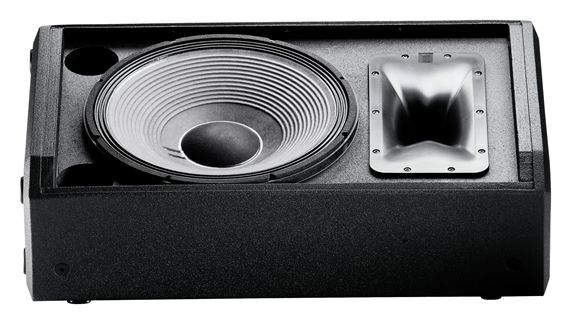 The STX815M speaker integrates with JBL HiQnet Performance Manager which guides the system design, configuration and control process in a user friendly fashion much like a simple step-by-step wizard. And since Performance Manager is compatible with VTX Line Array systems, integrating JBL STX speakers is managed in an efficient and intelligent fashion. All test, tuning and calibration control interfaces are embedded eliminating the need to design control panels and the dedicated ‘show mode’ provides all the monitoring and control needed to run a live performance. 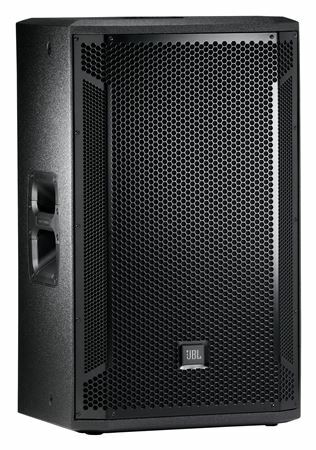 As with all JBL sound reinforcement products, the technology of the STX815M loudspeaker is designed from the ground up employing the best componentry JBL has to offer in products of this class. 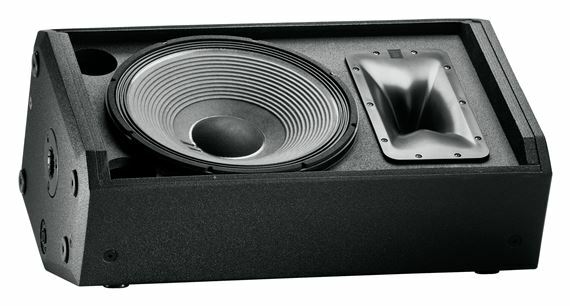 The STX815M speaker features the latest evolution of JBL’s Vented Gap Cooling: Super Vented Gap Technology. Building on the advantages of VGC - low power compression, low distortion, high power handling, lower weight and smoother response – SVG transducers attain higher power handling capabilities due to more effective heat sinking, with minimal dynamic compression and magnet topology enhancements for even lower distortion. 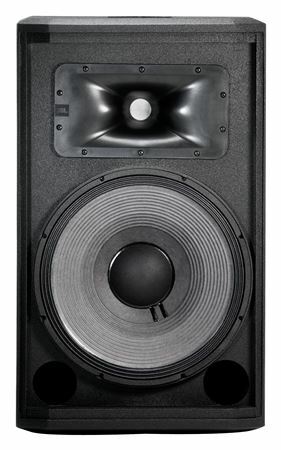 All JBL STX800 two and three-way models, including the STX815M, may be operated full-range or bi-amplified. The selection is made by means of a high-current, recessed switch mounted on the input plate. The same switch arrangement is used on the subwoofer to select 1 or 2 operation. 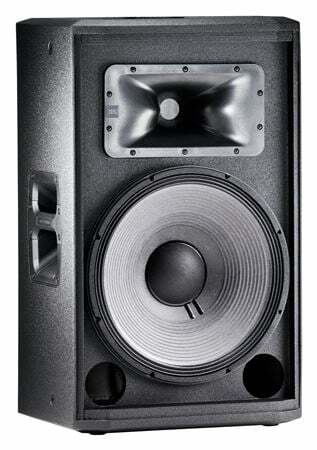 High frequencies are handled by a JBL 2432H 3 inch voice-coil, titanium diaphragm, neodymium compression driver. In addition to the weight reduction provided by neodymium, the large voice coils and diaphragms in these drivers are capable of handling high power levels with reduced distortion and increased phase coherence resulting in smooth, crystal clear high frequencies. The high frequency driver in the STX815M speaker use JBL’s patented Progressive Transition Waveguides which offer dramatically advanced constant beamwidth and directivity, lower distortion, and overall smooth frequency response free of high-Q peaks. Wide coverage angles are achieved without compromise and harmonic distortion is minimized to allow maximum SPL capability of the compression drivers without harshness. 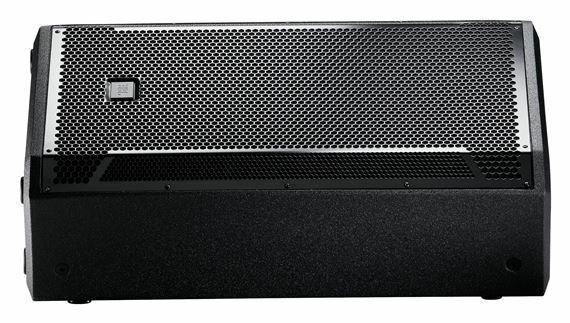 The STX815M and all the other JBL STX800 Series speakers are compatible with Crown Audio VRack, with V5 Level processing, ensuring that STX Series enclosures are optimally powered and processed. There is no need for laborious rack building, no chance that a component might be improperly connected, and a dramatically lower chance of connection failure. 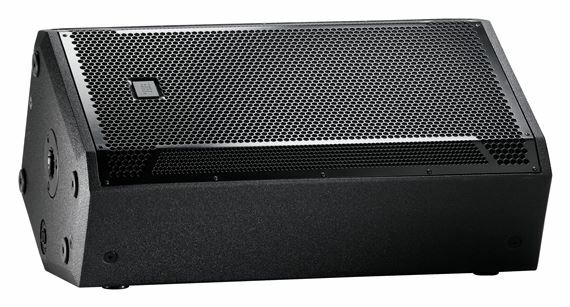 VRack also ensures compatibility when integrating the STX815M with a VTX Line Array system. All full range STX800 enclosures (except the STX812M monitor) include multiple M10 rigging points for fast, safe and secure suspension.